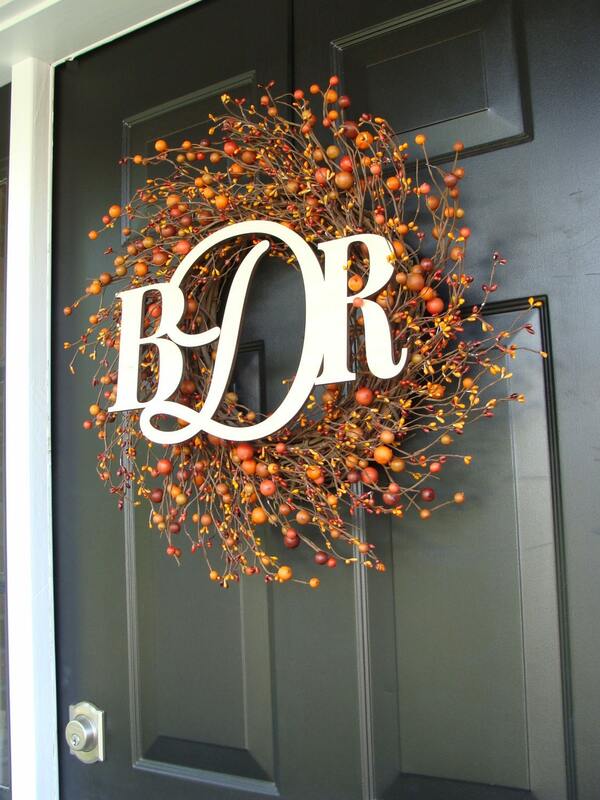 What a statement this Fall Monogram Wreath will make! 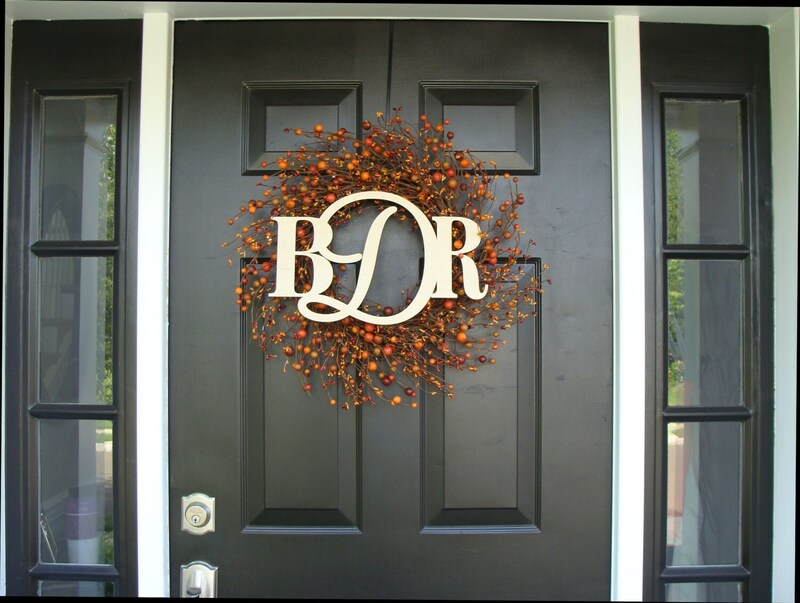 A large 20 inch mixed fall berry wreath is accented with a stunning PAINTED Baltic Birch painted 3 letter monogram. Specify your letter choices in the comments section at checkout. 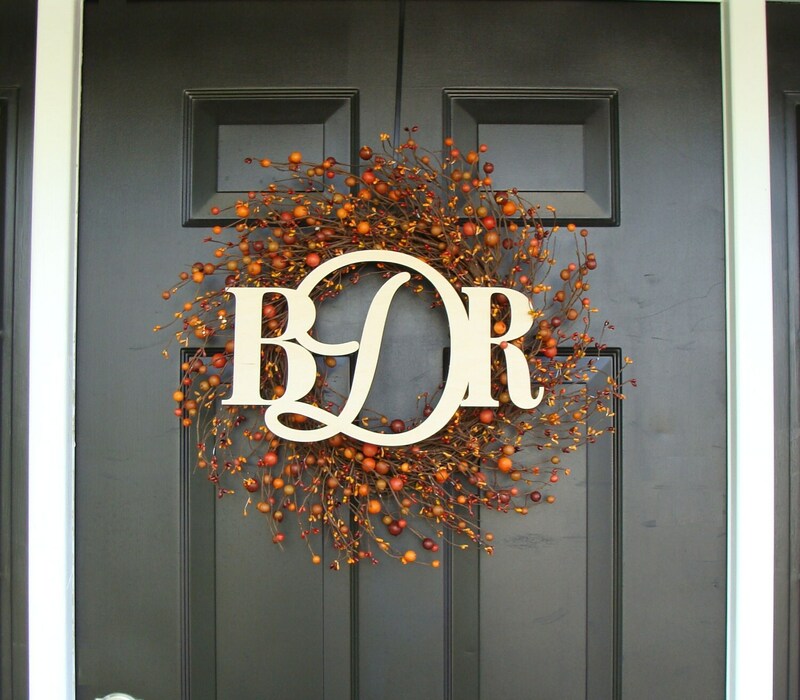 This wreath is ABSOLUTELY GORGEOUS and I enjoy seeing it on my door every day. I love it so much I bought two as Christmas gifts for family. Shipped in perfect condition and very quickly too!